This Fairfield home was built in 1945, a two bedroom/two bath Craftsman Home has already stood the test of time and proven itself strong, square and worthy. Lovely woods throughout and fabulous oak floors. Gas appliances, a working fireplace, cared for with taste and style; if elegance is simplicity then this is the perfect example. Even a delightful, retro rec-room downstairs with sliding glass doors leading out to a side deck and the huge, sun-filled back yard and garden. And what a garden; tilled and loam rich and a great producer of all your favorite vegetables and berries. Sit in the sun, play with the kids and watch your garden grow. And when you do have to leave the grounds, the world is a short walk away because this is the most convenient neighborhood in the city. 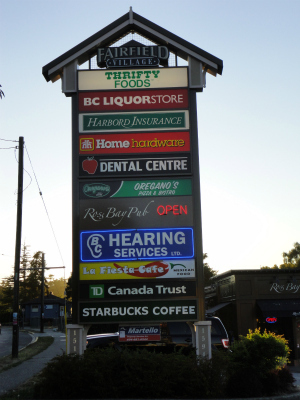 Seriously, the beach is three blocks away, Thrifty Foods is a block, every bus route runs nearby, five parks are less than ten minutes away. The Lieutenant Governor's Residence abuts the backyard and you gotta figure they know a good neighborhood, right? The photos give you an idea. Get out of the craziness for a bit and be charmed by the sanity of this lovely home.